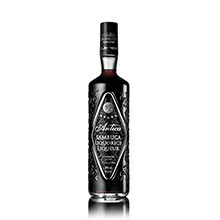 Sambuca is a colourless liqueur made from anise and has its origin in Italy. 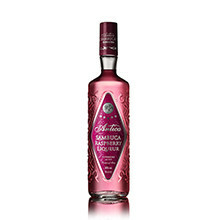 The liqueur contains distillates of green anise and star anise. Sambuca has high sugar content (350 g/litre) and an alcohol content of 38 percent by volume. 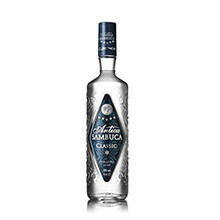 Popular as a digestif, Sambuca is preferably enjoyed “con la mosca – with fly”! This usually means three coffee beans which are chewed while drinking and consequently neutralise the sweet taste of the Sambuca. In addition, it is also customary to flambé the spirit before consumption. Did you know that coffee beans as well as the flambé ritual date back to a legend from Italy, according to which three flies were attracted by the sweet smell of Sambuca and disturbed an old lady and her family when they were drinking Sambuca? The Sambuca was ignited before drinking so that this no longer happened, and the flies were roasted as a result. Also interesting: the so-called “louche effect” provides information about the spirit’s anise content. This occurs if Sambuca is ice-cooled or diluted with water. The cloudier the spirit is with a specific mixing ration, the higher the anise content is.